We are bonded and insured as well as certified in pet first aid. 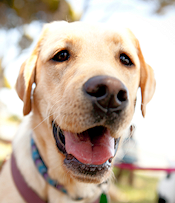 We are also members of the Half Moon Bay Chamber of Commerce and Visitor's Bureau, Pet Sitters International and the Association of Pet Dog Trainers. 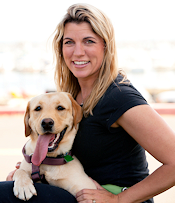 I founded Coastside Pets in 1998 and have been a professional pet care provider ever since. It was my goal to do something that I am truly passionate about and love. An important part of the covenant we have with our animal friends is that it is our job to protect them and to take care of their needs. I find great satisfaction in providing superior pet care services, giving clients the peace of mind knowing their companions are well taken care of while they are away. I enjoy working with all animals. Not a day goes by where I am not amused with their comedy routines. At times animals can seem quite human. Not only do I love working with animals but I love the relationships that develop with their owners. I am truly blessed to have so many friends. Our official greeter and social networking manager. Always looking for a playmate. Enjoys running at the beach, playing ball and belly rubs.